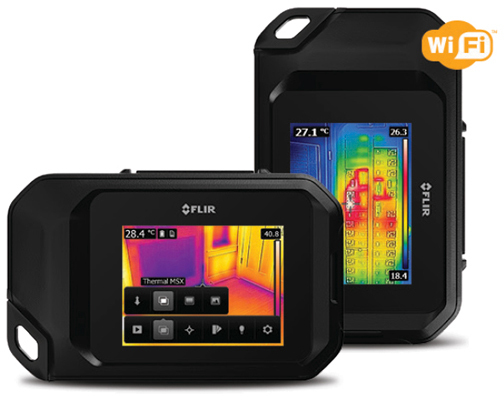 The FLIR C3 is a full-featured, pocket-sized thermal camera designed to be your go-to tool, whether your work is building inspections, facilities maintenance, HVAC, or electrical repair. Keep it on you so you’re ready anytime to find hot fuses, cold air leaks, plumbing issues, and more. 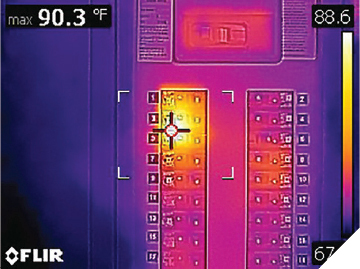 The C3’s must-have features include MSX® real time image enhancement, area maximum or minimum temperature measurement, and Wi-Fi connectivity – so you can quickly get to the job of finding hidden problems, sharing images, and documenting repairs. Slim and sturdy enough to keep in your pocket, but with the advanced features you need to find potential problems, confirm repairs, and share the evidence with your client or boss. 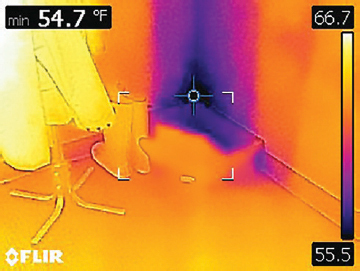 Save thermal image JPEGs instantly, then conveniently adjust and analyze them later with FLIR Tools to isolate temperature measurements on any pixel and create convincing reports.